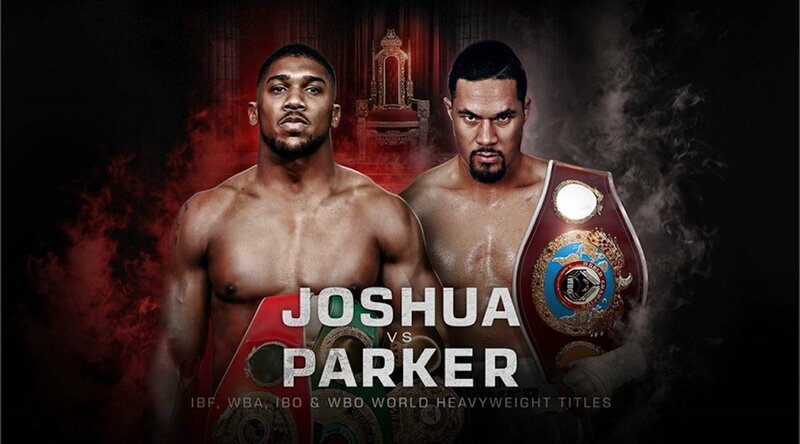 JOSHUA CONFERENCE CALL HIGHLIGHT – Question: How have your preparations gone and what are your thoughts in anticipation for the big fight? Anthony Joshua: “Preparations have gone really well. We’re still in preparation now but so far, so good. I do believe a happy fighter makes a good fighter. For the experience over my last few fights in 11 months have gone 11 rounds, 10 rounds, have been a blessing. I’ve learned about training camp and I’ve learned about myself. It’s the first time I’ve kind of voiced up to my coach man-to-man. I’ve said, ‘Look, this is what I’ve thought was working and this is what I feel isn’t working. Can I have your input and can we make some changes?’ Not in a sense of how he’s training me. Just in terms of schedule and it’s been really good. I’ve had some cruiserweights come in sparring for speed, some big heavy hitters who throw big right hands and left hooks and wait for me to make a mistake. We’ve been sparring 15 rounds. And honestly, I’ve been doing this for 10 years now if I rack up my amateur career and my pro career. And you know the 10,000-hour rule. I’m starting to get confident. I’ve had the ability but I think I’m matched up with my mindset now and I’m feeling really good and confident ahead of March 31. Q: People in the U.S. are excited about your fight with Parker but there are so many American fans excited about the prospect of a fight between yourself and Wilder. What are your thoughts on that and are you able to tune that out ahead of your fight with Parker on the 31st? Q: Do you allow yourself to think about the prospect of that fight in the event that you win the fight on the 31st? Q: There was a report in the Telegraph (UK) that there’s possibly going to be a meeting between yourself and the people at UFC who are now going to be getting involved in boxing. Can you give me your perspective on you joining their organization and about what they wrote today? Joshua: “I’m riding with Eddie. He’s backed me from the get-go. And the second thing, I’m a boxer. I’m not into the UFC so I don’t know what their plans are. But every time I’ve been asked about UFC and if I would make that crossover like McGregor did with Mayweather, I’ve said yes. Q: It wasn’t about Anthony Joshua becoming a mixed martial artist, their intentions are to promote boxing events. Dana White and the UFC view you as someone that any promotional company could build around given your star power. Q: Eddie, do you have any thoughts about the story in the paper today? Q: You weighed 254 pounds for your last fight and there’s been some talk in the media that you’re looking to slim down for this fight. Can you tell us what weight you’re looking to check in at for this fight? Q: Is there any truth to the idea of you being lighter and not carrying around as much muscle could help you in the long run? Q: How different of a matchup is this to Wladimir? Q: Do you think Parker is the most technical fighter you’ve faced up to this point and if so, why do you think that? Q: Looking at your 21st fight, what do you feel at this stage in the game that you need to improve on? Q: How do you stay dialed in and not worry about all of the outside noise regarding your career? Q: How would you assess your performance against Carlos Takam? Q: How do you think Joseph looked in his last fight against Hughie Fury? Q: Do you feel you’ve gotten the credit that you deserve for fighting Klitschko because of his age? Joshua: Is Mayweather too old to still fight you think? Q: They’re the same age, right? Q: [To Hearn] What are your thoughts about Anthony’s focus on Parker with all the talk of Wilder? Q: How important is it to you to maintain your one-hundred percent KO ratio? Q: When you saw Wilder fight Ortiz, did you see anything that you didn’t know about him already? Did he impress you or let you down? Q: Can you elaborate on what makes you think Parker is a weird character? Q: [To Hearn] Is there a rematch clause for this fight and what are the circumstances with that? Previous boxing news: Canelo Alvarez fires back at Gennady Golovkin over cheating claims: I’m gonna kick your f***** a**!